Home Garden design	Is Wide Garden Spacing Wasteful? Tiny yards, tiny houses, tiny garden beds. Over the last few decades, “tiny” has gotten big. This is especially true in gardening. Even when I was growing up and learning how to garden, I learned that wide garden spacing was the “old way” to do things and was an artifact of commercial farming and tractor usage. See, if you had tighter spacing, a tractor couldn’t get through the field. Wide spacing in your garden is just a waste of space – after all, didn’t John Jeavons and Mel Bartholomew prove that you could grow tons of food in really tiny spaces? Great-Grandpa’s methods went out with gas lights and top hats, don’t you know? But, maybe there’s more to know that we think. Today we’ll reconsider the current “common wisdom” on intensive gardening. 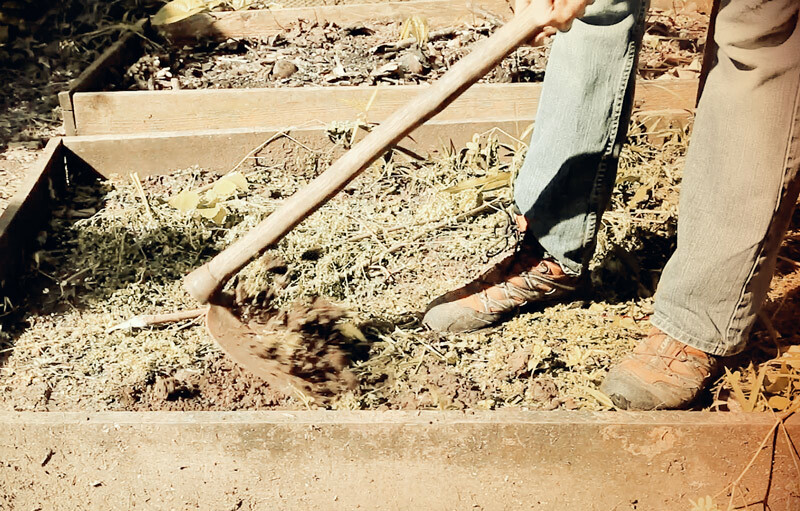 Despite the mighty army of tiny raised-bed aficionados, there are good reasons to adopt wider spacing and larger garden plots. I’ve started posting on the MEN blog again. Now that my internet is solid, why not? I like having the wider audience they provide and they’re wonderful people to work with. Plastic in the Garden: Good or Bad?